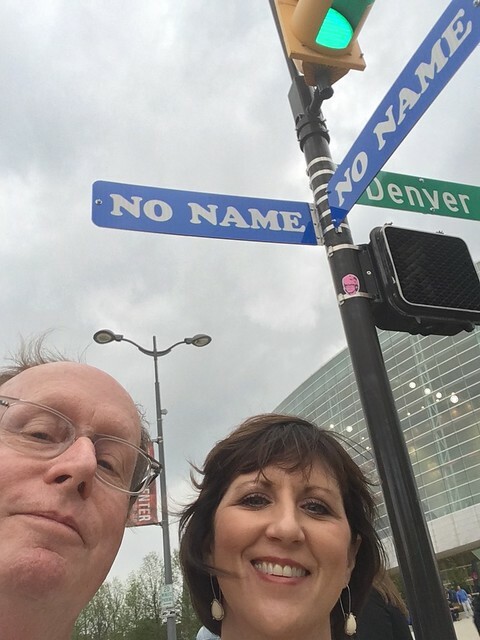 Heather and I went to the U2 Concert last night here in Tulsa. In fact Tulsa is where U2 is starting their latest tour. They of course put on a great show. It had a sad tinge to it that I think is reflective of our country right now. And then earlier this week we had a full moon. Fish Moon, Pink Moon, Sprouting Grass Moon, I love all the different names we have for full moons. 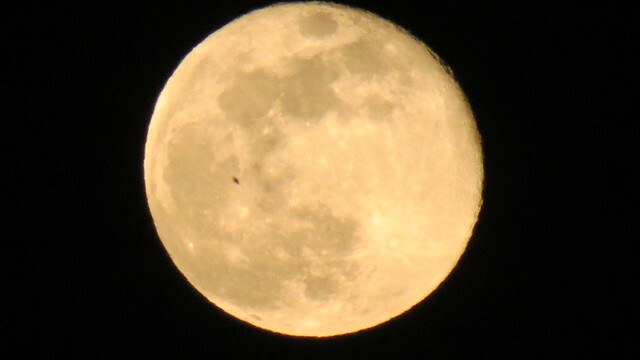 The problem is, that I took this photo the night after the full moon. Still it was 98% full. I can’t tell the difference. Aren’t you happy with me that I came out and was honest with you about this? Don’t always count on it!! I’m a scoundrel with the facts. 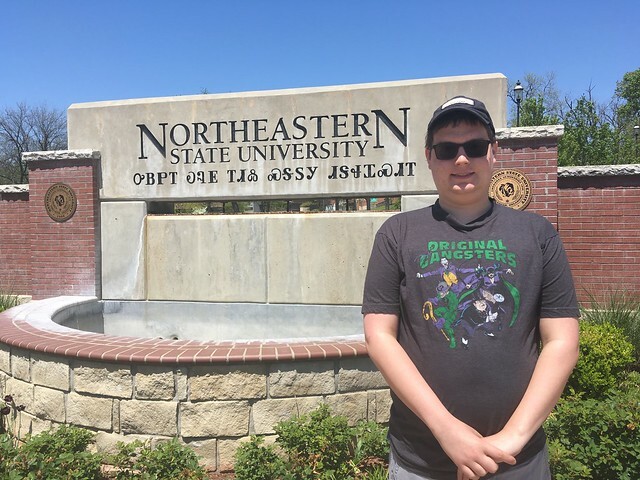 On our trip to the JT Nickel Wildlife Preserve on Sunday, Logan and I stopped at Northeastern State University for a look see. They are starting a program for people with Special Needs to get a university experience. We are applying and have high hopes. They are taking only five this, their first year of the program. He’s doing well at school and is still working maintenance at Walmart. He’s a hard working kid. 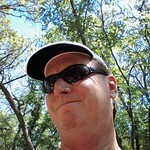 I’m linking with Skywatch Friday, better late than never. 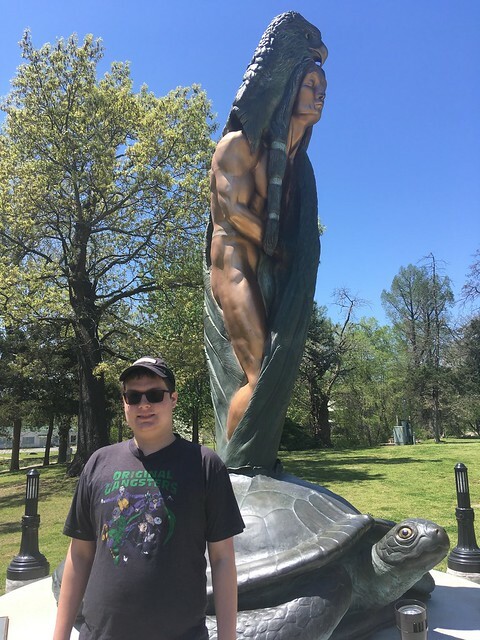 This entry was posted in Skywatch Friday and tagged Logan, Northeastern State University, Oklahoma, Skywatch Friday, Tahlequah on May 3, 2018 by Alan Bates.